Jorge Santiago is a brazilian mixed martial arts fighter from American Top Team, based in Coconut Creek – Florida. He is the current Sengoku middleweight champion. Santiago holds notables wins over Jeremy Horn, Trevor Prangley, and Kazuo Misaki. Currently on a nine fight winning streak, he is ranked #7 in the world at middleweight according to Sherdog.com’s rankings. 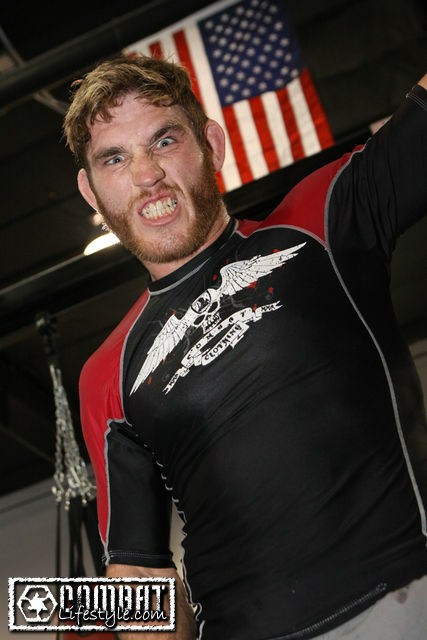 A Massachusetts native now making his home in Orlando, Tom Lawlor was a three-time National Collegiate Wrestling Association National Champion for the University of Central Florida. After taking jiu-jitsu classes back home in Fall River, he began in MMA. His favourite grappling technique is the d’arce choke. Tom turned pro in 2007. After winning four of his next five fights, he earned a spot in the house for the 8th season of The Ultimate Fighter. He currently have a BS in Social Studies Education from the University of Central Florida. Lawlor have also taken classes towards a MA in Sports & Fitness. He used his college degree as a High School History teacher for almost 2 years. Bio: Bruno Bastos started jiu-jitsu as a child, in 1990, inspired by Aurelio Miguel‘s gold medal in 1988 Judo Olympics. He’s a Wendell Alexander black-belt, but studied with many good teachers, like Neury Gomes and André Pederneiras. Bastos became famous after winning Xande Ribeiro in the absolute finals of 2005 Rio de Janeiro State Championship. It was his tenth fight that day, but he won by 4×3. Bruno could have had a beautiful performance in ADCC 2005 California, but though he was specially invited by ADCC producers, USA embassy blocked his entrance. Bruno is a Georges St. Pierre fan and use to train muay-thai to relax. He fought two times in MMA, loosing the last time to Rousimar “Toquinho” Palhares by decision. Other idols of him are the F1 pilot Ayrton Senna and Nova União BJJ fighter Leonardo Santos. 2nd Place in Men’s Brown Belt Middle Weight at the World Jiu-Jitsu Championship 2009 (Mundials). 1st Place in Men’s Brown Belt Middle Weight at the New York International Open Jiu-Jitsu Championship 2009. 3rd Place in Men’s Brown Belt Open Weight at the New York International Open Jiu-Jitsu Championship 2009. 1st Place in Men’s Brown Belt Middle Weight at the Pan Jiu-Jitsu Championship 2009 in Carson, California. 1st Place in Men’s No-Gi Expert Middle Weight at the North American Grappling Championship in New Jersey. 2nd Place in Men’s Gi Brown & Black Cruiser Weight at the North American Grappling Championship in New Jersey. 1st Place in three categories at the Icelandic Brazilian Jiu Jitsu Championship; i.e. men’s Open weight, -88 kg and the team tournament. 1stPlace – 2008 Great Britain Grappling Open National Championship, men advance No-Gi, – 80 kg weight. 1st Place – Hawaiian Open Championship of Brazilian Jiu-Jitsu, men advance No-Gi -176 pound (ca. -80 kg) weight. 1st Place – Irish BJJ Open, men absolute. 1st Place – Irish BJJ Open, men purple belt. 1st Place – Mjölnir Open Mat 2007, men open weight. 1st Place – Mjölnir Open Mat 2007, men -81 kg weight. 1st Place – Mjölnir BJJ Gi tournament, men open weight. 1st Place – Mjölnir BJJ Gi tournament, men -88 kg weight. Gunnar has been offered to compete at the ADCC (Abu Dhabi Combat Club) World Submission Fighting Championship that will be held in Barcelona, Spain, on the 26-27th of September. This is of course a great honor for Gunnar but as many people know ADCC is a competition held every two years involving professional athletes who have been successful at the highest levels of Jiu-Jitsu, Wrestling, Judo, Sambo, Shooto and Mixed Martial Arts. The rules of the event disallow strikes while promoting grappling and submissions. However Gunnar’s normal weight class (-77kg) is completely full so Gunnar has been offered a place in the -88kg weight class. This will of course be a great challenge for the young Icelander who will not only be the least experienced fighter in the tournament but also undoubtedly the lightest in his weight class. Originally from a Karate background, Icelandic youngster Gunnar Nelson has been setting the mats on fire since focusing on BJJ three years ago. The John Kavanagh brown belt has trained extensively with B.J. Penn and Renzo Gracie in the past. His big breakthrough came when he took gold at this year’s Pan-American BJJ Championship and silver at the World Championship. Next to that, his perfect MMA record seems just a side note, but it is further evidence of his excellence. 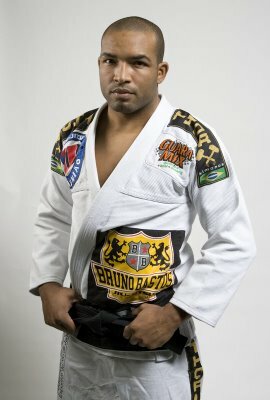 One more BJJ rising star is joining ADCC Barcelona 2009: The champion of the first WORLD PROFESSIONAL JIU-JITSU CUP in Abu Dhabi, at his weight and at the open division. Also medalist at the last three CBJJ World Championships. Tarsis is a veteran at ADCC. In 2007 he was third place losing at the semi-final in a very tight fight against the UFC and ADCC star Demian Maia (who after that became champion overcoming Flavio “Cachorrao” Almeida). Tarsis is at the best moment of his career and is training hard to put his name in the select group of ADCC world champions. Bio: Marquardt began his training in the martial arts as a teenager, studying the disciplines of brazilian jiu-jitsu, kickboxing and kempo under instructor Alistair McNiven. Additionally, he took lessons in wrestling and eventually began training under brazilian jiu-jitsu instructor Ricardo Murgel at age 18. Active in sports throughout high school, he contends that he did not become involved in the martial arts until he saw footage of the Ultimate Fighting Championship. Although he is perhaps best known for his association with Greg Jackson’s Gaidojutsu mixed matial arts team, Marquardt has also trained with Sanae Kikuta and the Grabaka Dojo in Japan as well as american kickboxer and mixed martial artist Duane “Bang” Ludwig in Colorado. Marquardt runs an academy, High Altitude Martial Arts, located in Aurora, Colorado. His trainers are Trevor Wittman, Greg Jackson, Mike VanArsdale, John Chaimberg and Ricardo Murgel among others. His favourite technique is the Marquardt Choke.